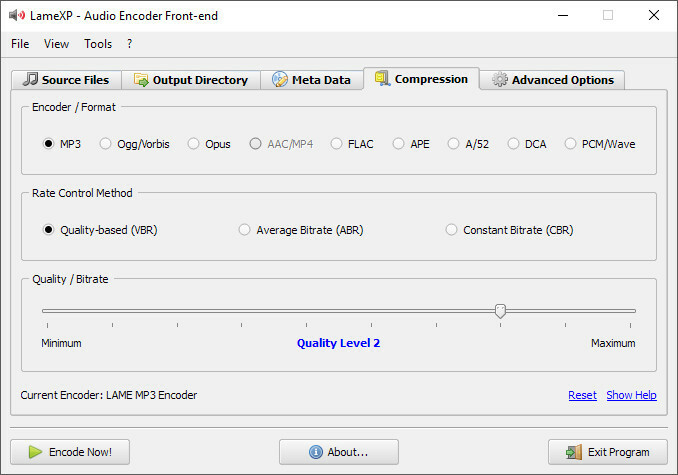 LameXP is a GUI for the LAME MP3-encoder. 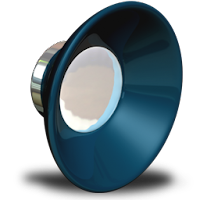 LAME gives you the best possible quality/compression, provides lots of function and works very fast.LAME gives you the best possible quality/compression, provides lots of function and works very fast. 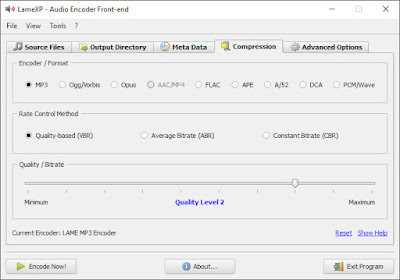 The original LAME mp3-encoder is aviable from the official homepage (www.mp3dev.org), but it's only aviable as a console-application. Such console-applications are very flexible, but most users prefer to work with GUI (graphical user interface) applications.